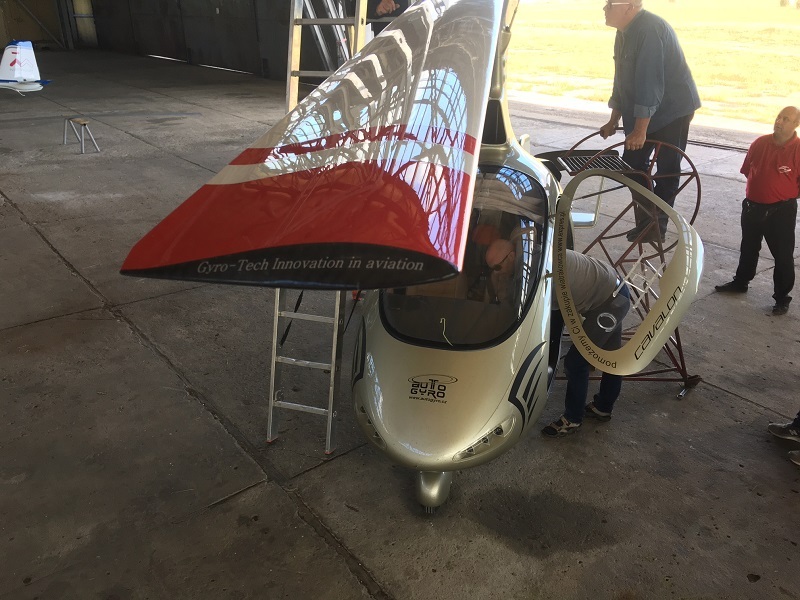 On 21-22 June 2017, we conducted tests of our carbon rotor and rotor head on Cavalon Gyroplane. 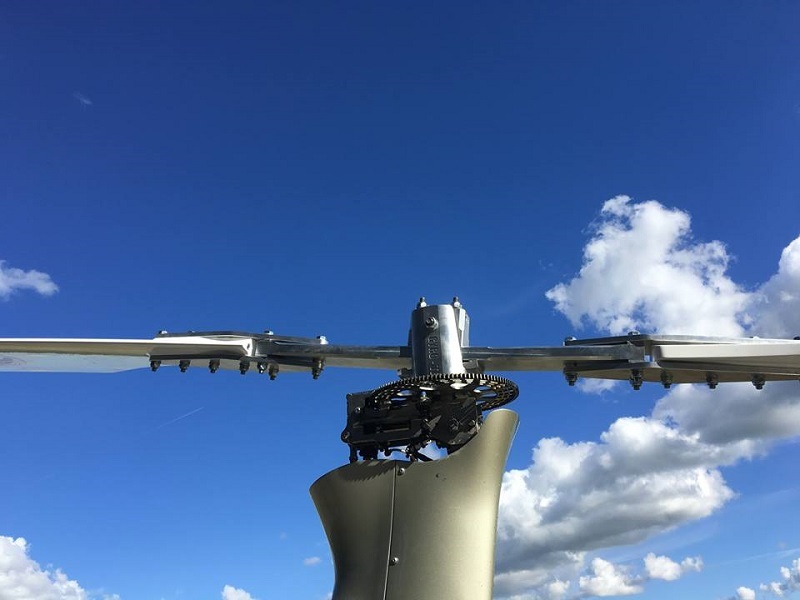 Tested were the following rotor diameters: 8.40 m, 8.50 m and 8.60 m. Original Cavalon aluminum rotor diameter is 8.40 m.
Tests results revealed that 8.40 m diameter is far too small for Cavalon. 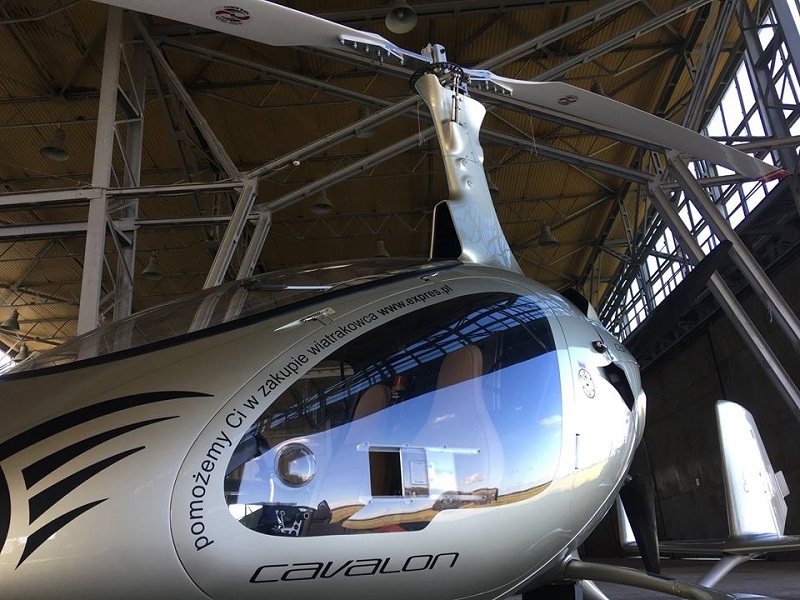 Cavalon is a heavy gyroplane, its weight is ca. 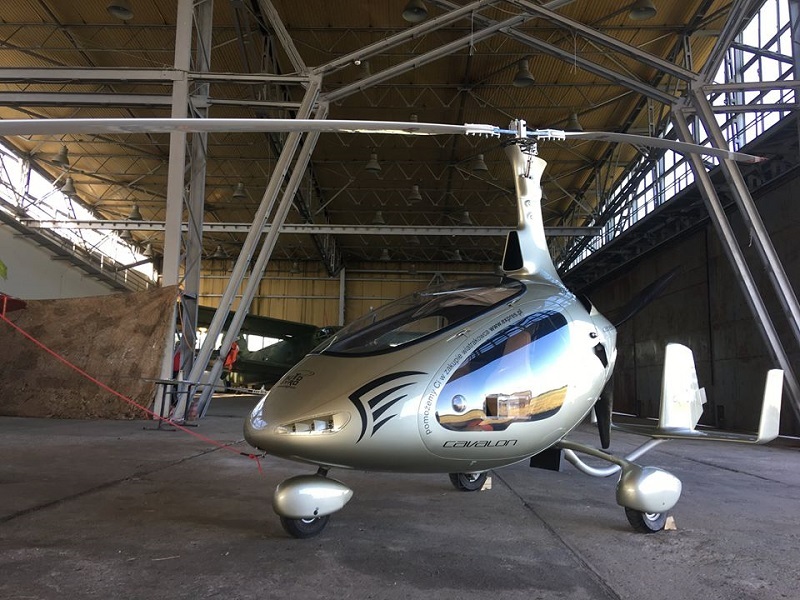 320 kg with no fuel and no rotor. 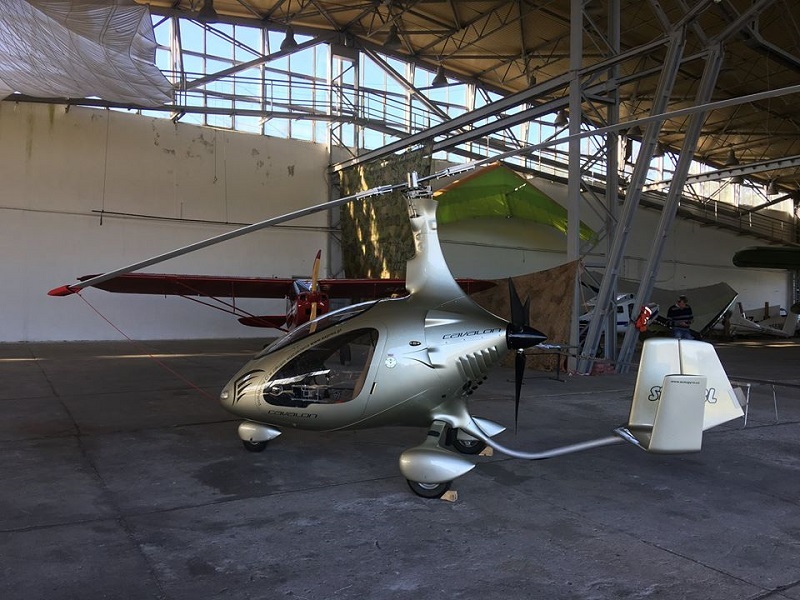 With this weight, Cavalon gyroplane with fuel, rotor and two persons on board has MTOW of almost 600 kg. 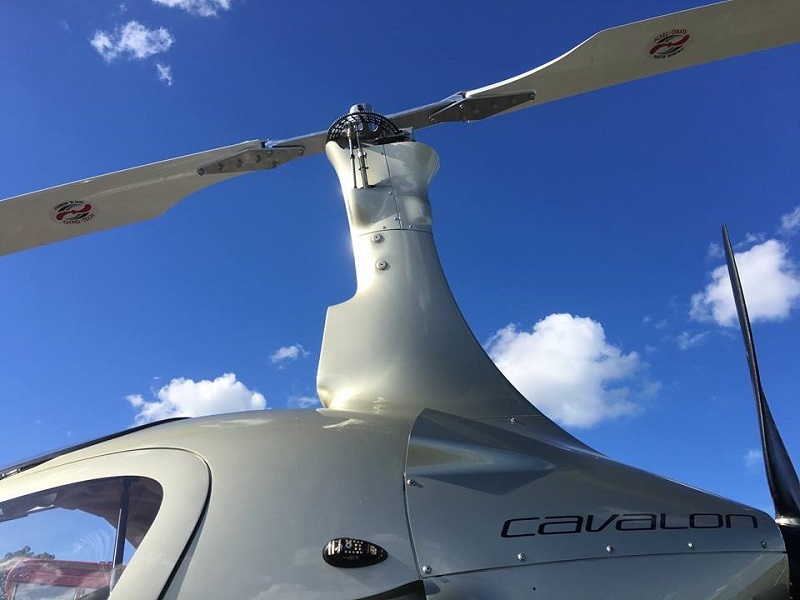 Both original aluminum Cavalon rotor 8.40 m and carbon Gyro-Tech rotor 8.40 m, by this MTOW, reach 400 and even more rpm - THIS IS NOT GOOD! 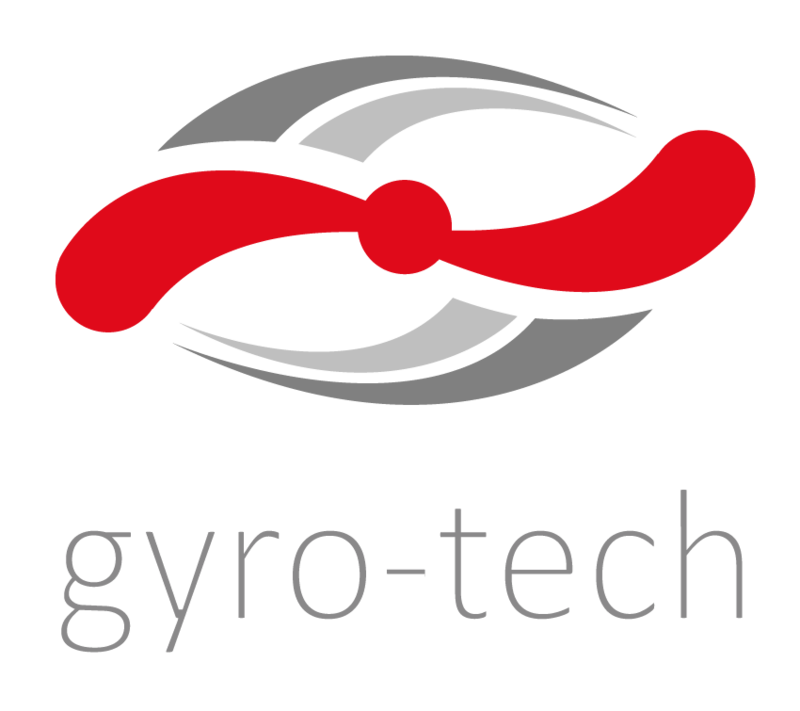 Despite the fact that the rotor diameter was not optimal for Cavalon, the first tests of Gyro-Tech rotor revealed a decreased vibration level as compared to original aluminum rotor. As you can see in the movie, there are still some minor vibrations and this is because the weather (a strong wind) did not let us to make right tracking adjustment by use of flag. Addidionally, very big rotor rpm are also undesired. After a few days, we continued the tests with bigger rotor diameters: 8.50 and 8.60 meters. 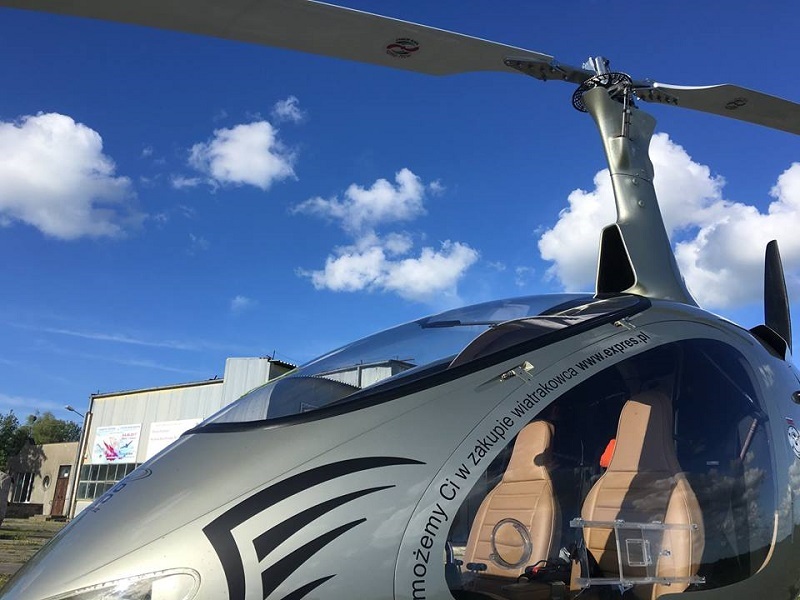 The optimal diameter with best flying parameters and lowest vibrations level was 8.50 meters.